Two years ago, Eimear Considine sat in the same seat of the same hotel and admitted that because she was so new to the game she was still very much learning how it worked. 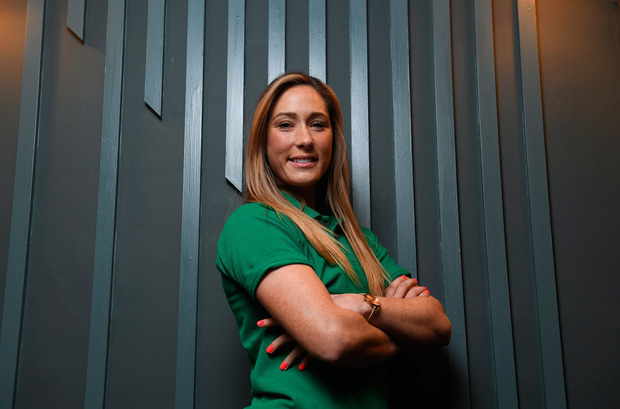 Having switched her focus from GAA, it was always going to take time and then when she decided to take a year out to go travelling following the 2017 World Cup, it meant that she was playing catch-up again as soon as she returned. "I was just thinking about that - back then, I was Eimear Considine the footballer, now I actually refer to myself as Eimear Considine the rugby player," the Clare native says. "I had two different identities but now I am happy to be Eimear Considine the rugby player. "When I was chatting to you this time two years ago, I had only played three interpro games and I came on against Scotland. "I was getting my first start against France and looking back on it now, not that I cringe at it, but Jesus, I really didn't know the game. "I was suppose it was that summer of World Cup training that I actually got to learn to game. At the time I came into camp in January having never played 15s before. "I had to learn as I was doing it and I feel now that I have a lot more confidence. I'm really enjoying it. "I was so scared of making mistakes in that first year that I was being careful with everything. But now If it works out, it works out and if it doesn't, it's a lesson learned." There have been plenty of lessons learned since, which have come in very handy as Considine is now able to pass some helpful advice on to her younger sister Ailish, who recently joined AFL side Adelaide Crows. "I was even on the phone to my sister this morning, saying, 'Look, it's not going to happen in season one,' the Irish winger says. "She's doing well over there but it's frustrating transferring over to a new sport and I feel like we have that in common now. We understand that you are going to be really good at one sport and you have to really work on the other." During her year travelling, Considine played a bit of sevens before she ended up winning another football medal - the New York Championship when she started in midfield alongside Ailish. "My boyfriend (Dean Ryan) plays for Clare so between the two of us, you don't get to plan anything," she adds. "You've to live out of the country for a long period to get that break. It was nice to get a break."